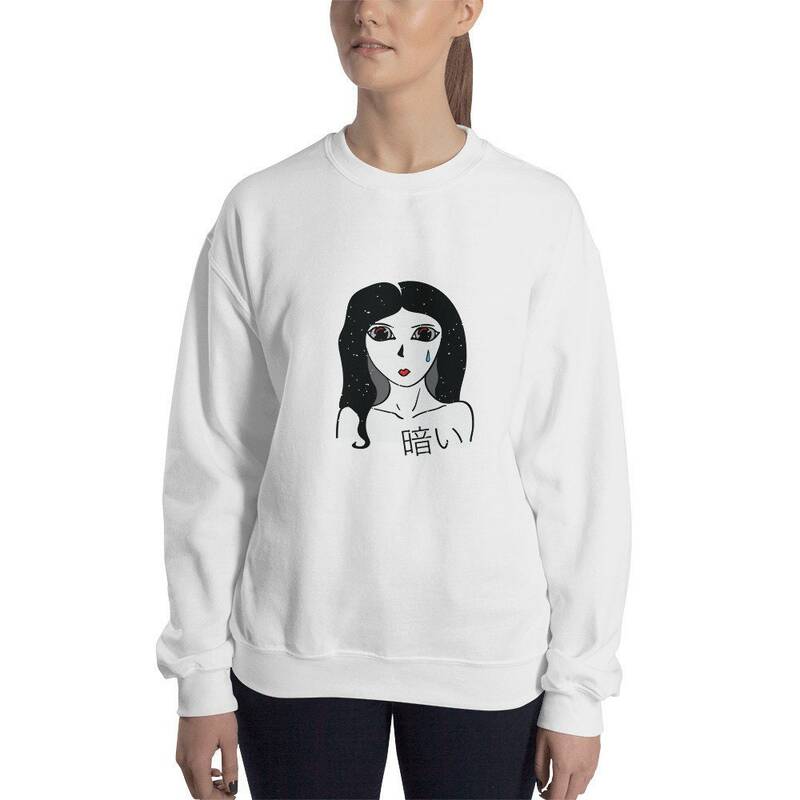 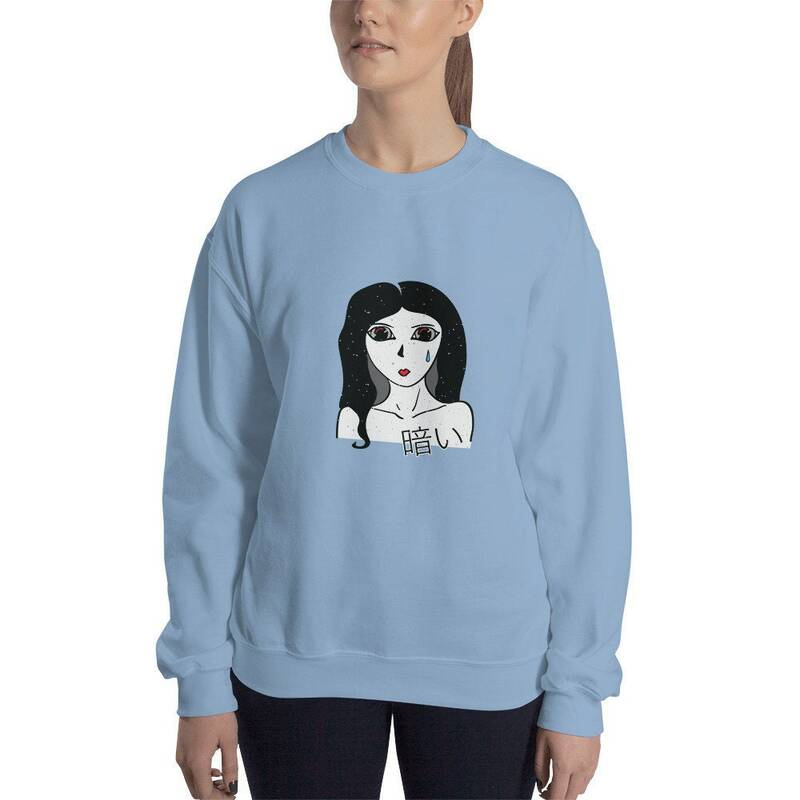 Artist Print on Polyester/Cotton Unisex Sweatshirt. 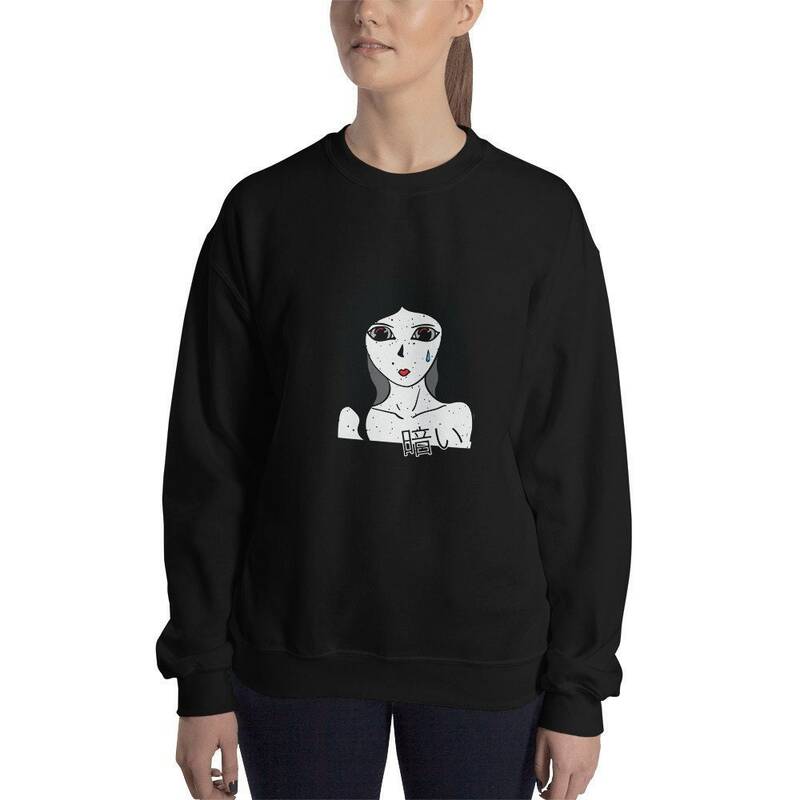 Introducing the new Gloomy Girl sweatshirt by Jigglypunk! This is a classic-fit sweater with a distressed harajuku girl art print on the chest. I hope you love this kawaii sweatshirt, wear it when you're sad and it will make you feel much better! 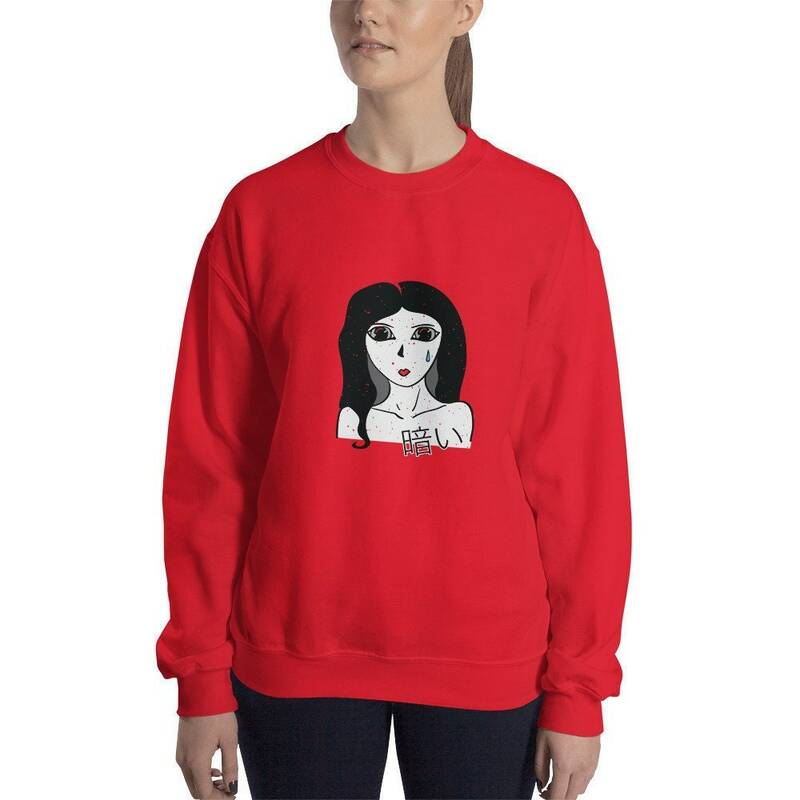 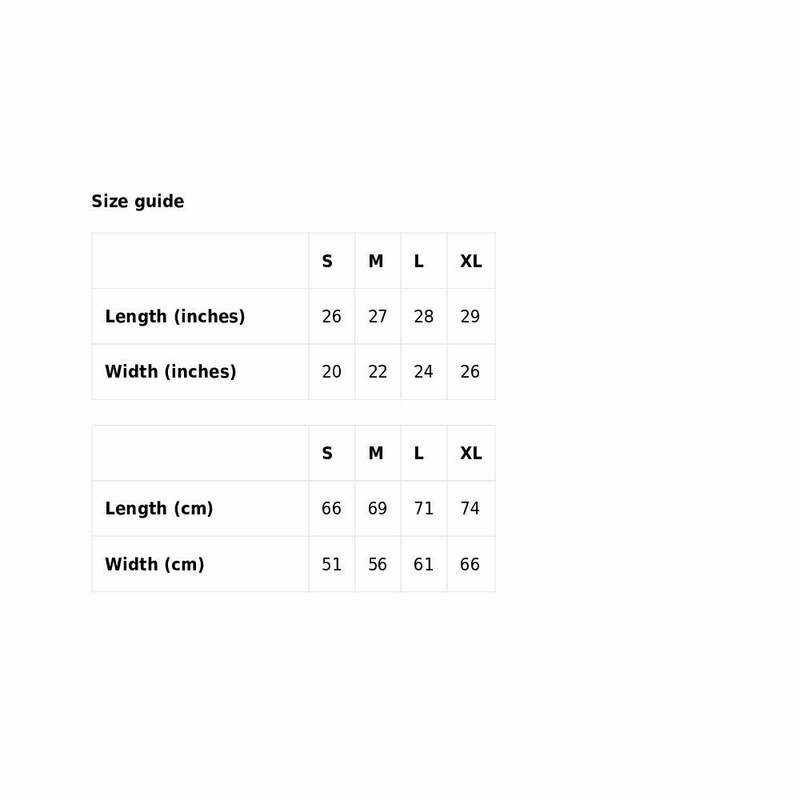 Although this is a unisex style, girls may want to order a size down for a slimmer fit.